History tells us that the town of “Torrijos” was a vast plain noted for her rich natural beauties and abundant resources. The majestic Mt. Malindig and its green forest, the rivers that flows from its summit to the vast plain of Malibago and the lowlands of Tigwi, the mineral ores deep under Torrijos’ earth, and the sea which teem with fish and other marine products, may be considered prime factors that attracted people of other places to settle in this community. The origin of the name of Torrijos has three versions: 1) The early inhabitants of the place had many cattle ranches. They suggested therefore that the town be called “Torrillos”. They later changed it to Torrijos; 2) Torre y Hijos had been a prominent family when the name for the town was being resolved by the people. Their popularity in the area resulted in giving the name of Torre y Hijos to the place. The people found it difficult in uttering the name, so they shortened it to Torrijos. 3) Governor General Jose Ma. Torrijos from Calapan was one of the principal heroes in the war of independence against Spain who came to visit Torrijos. At that time people had been choosing a name for the town. By the kindness and diplomacy of the general, the people finally decided to name the town after him. 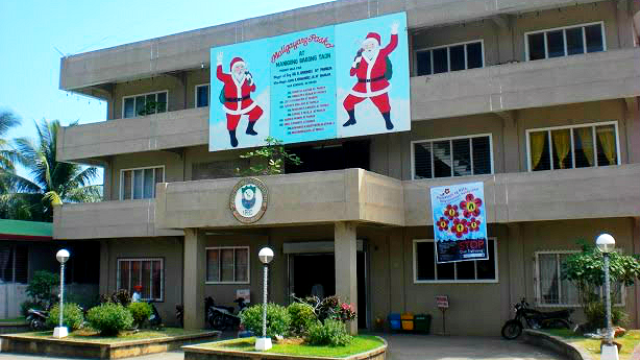 Torrijos is politically subdivided into 25 barangays.